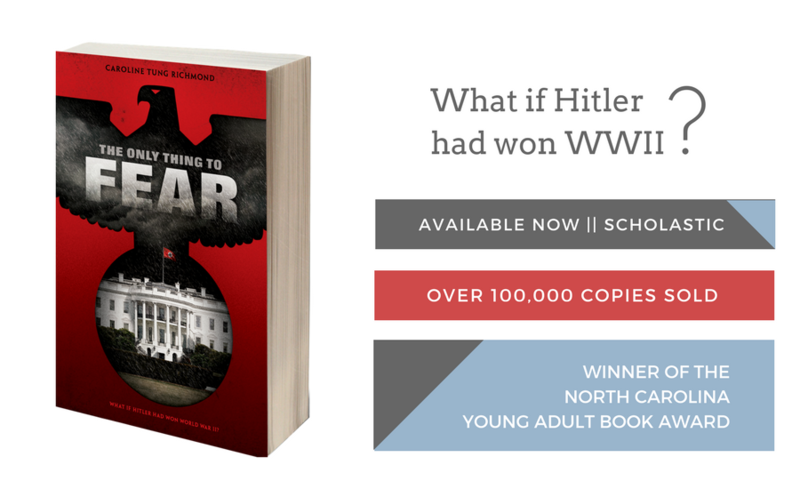 In a stunning reimagining of history, author Caroline Tung Richmond weaves an incredible story of secrets and honor in a world where Hitler won World War II. It's been nearly 80 years since the Allies lost WWII in a crushing defeat against Hitler's genetically engineered super soldiers. America has been carved up by the victors, and 16-year-old Zara lives a life of oppression in the Eastern America Territories. Under the iron rule of the Nazis, the government strives to maintain a master race, controlling everything from jobs to genetics. Despite her mixed heritage and hopeless social standing, Zara dreams of the free America she's only read about in banned books. A revolution is growing, and a rogue rebel group is plotting a deadly coup. Zara might hold the key to taking down the Führer for good, but it also might be the very thing that destroys her. Because what she has to offer the rebels is something she's spent her entire life hiding, under threat of immediate execution by the Nazis.